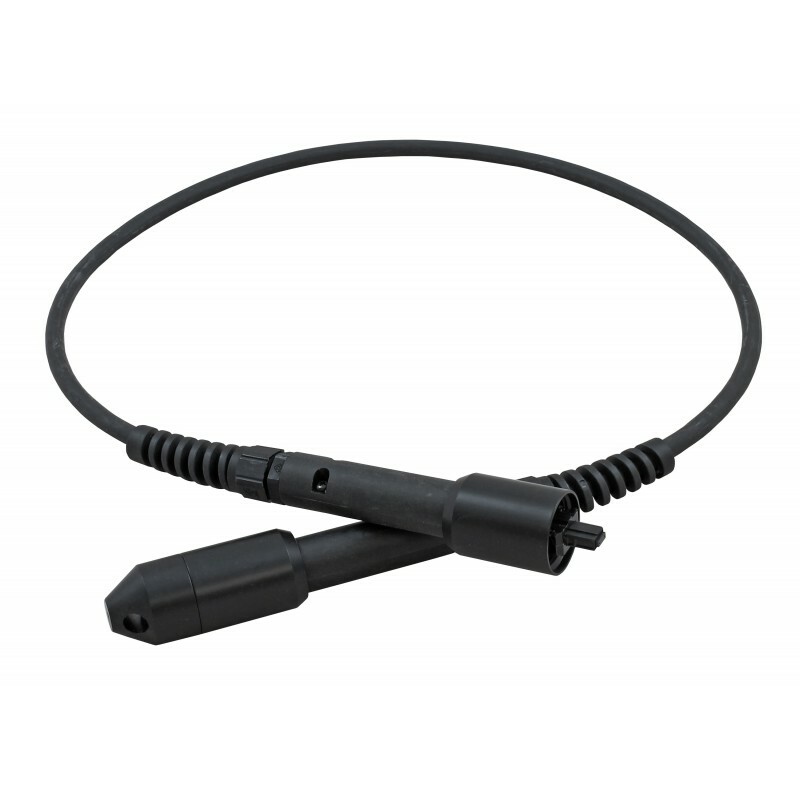 Intex pre-terminated assemblies are an innovative evolution of the popular Starlight MTP assemblies. The unique connector housing (patent pending) not only prevents damage to the connector during installation, but also provides a rugged pulling eye. Then, once installed, the cap incorporating the pulling eye can be removed and the housing becomes a permanent protection cover for the MTP connector, locking onto specially designed panel mount bulkheads with a simple twist action. The integrated strain relief gives the added benefit of allowing the use of standard internal / external loosetube cables – offering a wide range of cost effective cable types ranging from OM1 (62.5/125) through to OM4 (50/125) and OS1 (9/125). The CCS Starlight® Pre-terminated Plug and Go Fibre System provides the Rapid Fibre Deployment market with an extremely cost effective, expandable and high speed system. Starlight® utilises MTP® brand pre-terminated assemblies to ensure optimum performance is achieved when interconnecting pre-terminated Starlight® cassettes and panels. Assemblies are available in 12 & 24 fibres, and micro and ruggedised cable in multimode OM1 62.5/125, OM2 50/125, OM3 50/125, OM4 50/125 and singlemode OS1 9/125 options. The Starlight® System is manufactured in our own advanced fibre termination facilities under stringently controlled laboratory conditions, and is quality controlled to rigorous standards using advanced fibre interferometer testing equipment. Starlight® pre-terminated assemblies surpass the high standards required for datacomms and CATV applications.